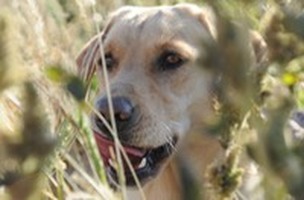 Prairie Plains British Labradors Kennels and Training is a family owned kennel that offers British Labrador puppies for sale from a select breeding schedule. Waterfowl retriever training and started hunting retriever training. We also offer obedience training for most all breeds. All of our breeding dogs are AKC and UKC registered field bred British Labradors and are certified in good health. We train our breeding stock and compete in both AKC and UKC hunt test. Our breeding stock are proven winners in the hunt test game. When purchasing a puppy at Prairie Plains we consider it more than just a puppy sale. Its the beginning of a new relationship between our kennel, you, and your puppy that will hopefully carry into years of growing sound, proven retrievers and excellence in dog training. ​Along with our puppy services, we offer training for your dog in AKC and UKC hunt tests, gun dog/waterfowl retriever training, and obedience training for your pet. We want your dog to be the best companion for you and your family, and we strive to achieve that goal when training your dog to the best of their abilities and potential. We have training grounds in Alabama and North Dakota. These grounds feature field and water technical schematics where we are able to train at all times during the year. These locations offer an environment that assures your dog will never be stressed during training by weather conditions. 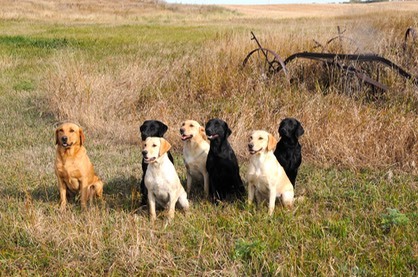 We at Prairie Plains consider each dog we train a part of our family and that is proven in the happy, confident retrievers we produce for our clients. Prairie Plains has two training ground facilities located in Alabama, and North Dakota. 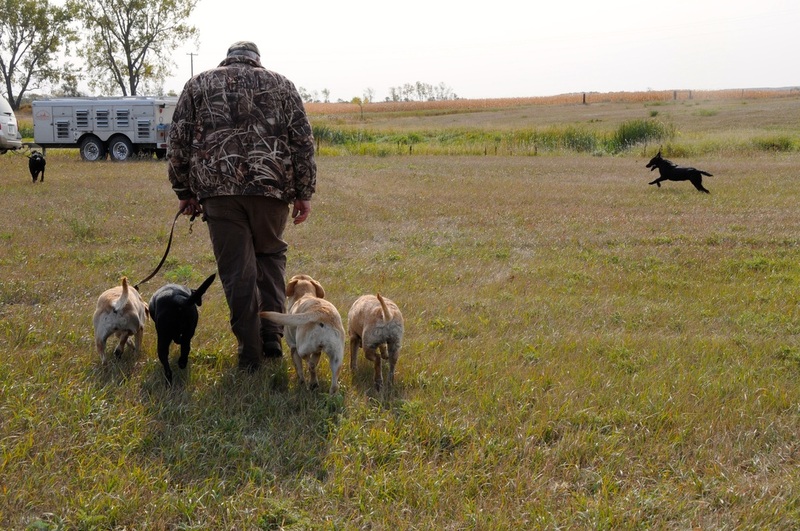 Each facility is dedicated and designed to introduce your dog to every aspect of waterfowl hunting. Specifically designed training ponds with multiple points of entry and obstacles replicate exactly what the hunter can expect to experience on any hunting trip in the field. 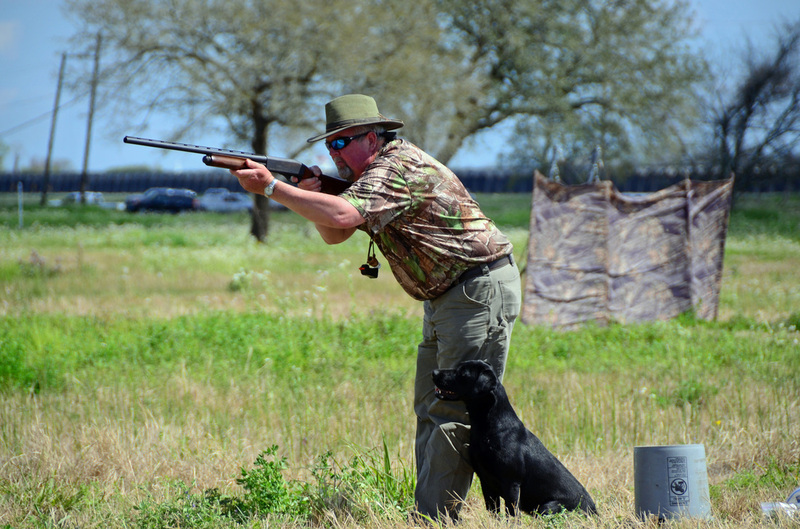 Long shooting lanes and open grassland make sending a dog after a 100-200 yard plus retrieve the norm. We strive to educate your dog to all the aspects he/she would encounter while on a hunt in the field and become proficient in performing retrieves confidently. Prairie Plains offers a variety of training regiments for your dog. 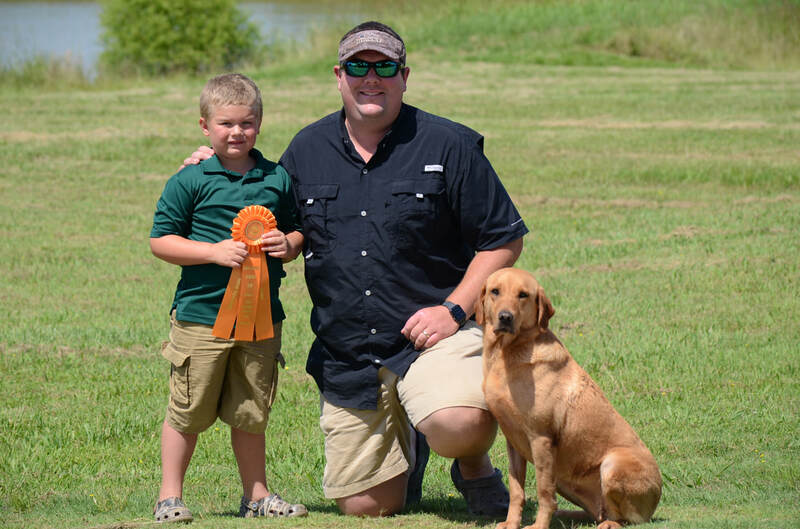 We provide retriever training for AKC and UKC hunt tests, as well as, training for the “working man waterfowler.” Our services begin with early stage puppy training all the way through advanced retriever training. 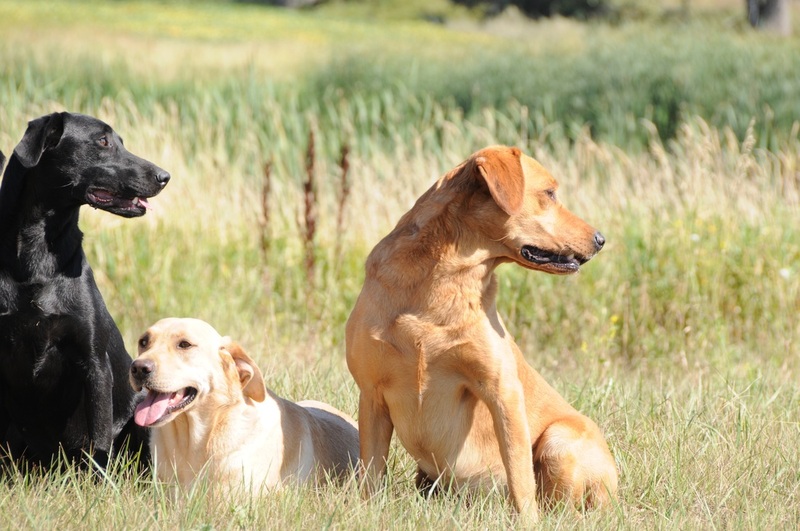 We will guide and mold your pup to become an exceptional retriever through techniques acquired from a growing 26 years training experience to hone in and develop the best quality traits of your retriever. 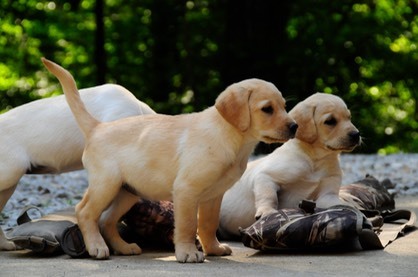 Prairie Plains offers British Labradors for sale as Puppies and ﻿Started Dogs﻿. Our dogs come with full AKC registration. Our breeding dogs are hip certified through Penn Hip. We have preliminary evaluation on all elbows of our breeding stock through OFA. Our breeding stock is also tested to be clear on EIC, CNM, and normal for PRA, NARC, RD/OSD. Our breeding dogs are titled in UKC Hunt tests, as well as, AKC hunt tests and have direct pedigrees of Sires and Dams with titles as Field Trial Champion and Field Trial Winner in European field trials. The major difference between the American field labradors and the British field labradors is their temperament. The British lines produce dogs that are very intelligent, playful, and eager to please. They have tremendous naturally instinctive hunting ability with a keen sense of smell. Their demeanor is calm and relaxed with a drive to hunt and/or play hard. Their strong sense to please gives them a trait which allows the most inexperienced handler the ability to communicate a training program effectively. We have trained our British labs and the British labs of our clients with American methods and yes even the E-collar. The sensitivity of the British lab in our view is merely the dogs way of saying they may not understand a command or they are not ready yet to progress through more advanced training. Their inherent instinctive desire and drive to please is so strong they are not willing to make a mistake. Once the handler makes it clear to the individual dog what he/she is asking of that retriever the dog is steady, strong, and firm on taking the command. The British lab is so smart that they learn to not respond to a command out of fear or of possibly performing the command incorrectly. We look for these subtle ques of “sensitivity” and train on commands mastered to reinforce new commands. From our training perspective attrition to a command and the training program is always the best route to master the command or drill. These dogs want to do one thing and one thing only, PLEASE. Use of attrition and more attrition will bring the dog through “sensitivity” phases in their training and provide an exceptional retriever when the dust clears. Prairie Plains offers puppies for sale from a select breeding schedule throughout the year. We strive to produce healthy, conformationally sound puppies. Our females are provided high protein, high fat content foods, as well as, vet recommended prenatal vitamins during pregnancy. An average litter size is 5 to 10 puppies from our breeding stock. At Prairie Plains, we try to breed for ability first and foremost. We train and title our breeding stock, therefore we know the quality traits of each individual dog. We can then take a male who has great drive and determination and pair with a female who has high trainability or vice versa. This hopefully will produce a well rounded pup that can perform at high levels. We have had great success in our breedings and are continuously complimented by our clients. Prairie Plains British Labs come with full registration with AKC. This means that owners of Prairie Plains puppies can breed their dogs and register their litter with AKC.